At the Art Base, artists of all ages and abilities come together to engage their creativity, hone their technical skills, learn new processes and share in the alchemy of making art. 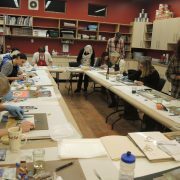 The Art Base provides a vibrant schedule of art classes for adults and youth (both in school and outside of the classroom). We are always growing our partner and outreach programs and currently strive to make art accessible to the at-risk and under-served, including the developmentally disabled, teen parents and youth in addiction recovery. Afterschool Art Clubs teach students the elements of visual art such as, line, shape, form, space, texture, value, color, perspective, and composition. Students create several original pieces of artwork including drawings, paintings and/or sculptures and in addition to learning artistic technique, students engage their imaginations. 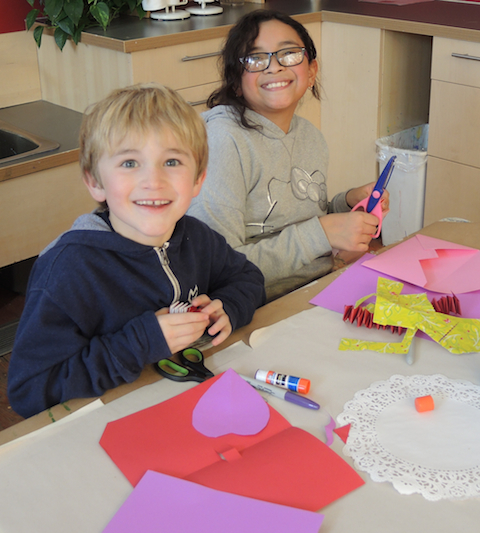 Using a variety of different art materials, children will create sculptures, paintings, drawings, and mixed media artwork based on a monthly theme! The instructor will meet the participants at the Basalt Elementary School flagpole immediately following school and pick up will be at the Art Base. Parents are welcome to drop off their child, and the Aspen Community School and Aspen Country Day School’s buses both drop off very near the Art Base. Using a variety of different art materials, children will create sculptures, paintings, drawings, and mixed media artwork based on a monthly theme! The instructor will meet the participants at the Basalt Elementary School flagpole immediately following school and pick up will be at the Art Base. Parents are welcome to drop off their child at the Art Base following school, and the Aspen Community School and Aspen Country Day School’s buses both drop off very near the Art Base. The Art Base Creativity Club is designed to nurture creativity and help prepare students for a future of successful problem solving and critical thinking. Through the use of imagination or original ideas, students will be encouraged to explore new art materials and techniques and visually express themselves. The class will focus primarily on process as opposed to the finished product. The instructor will meet students at the Basalt Elementary School flag pole immediately following school and pick up will be at the Art Base. 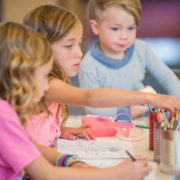 Parents are welcome to drop off their child at the Art Base following school, and the Aspen Community School and Aspen Country Day School’s buses both drop off very near the Art Base. 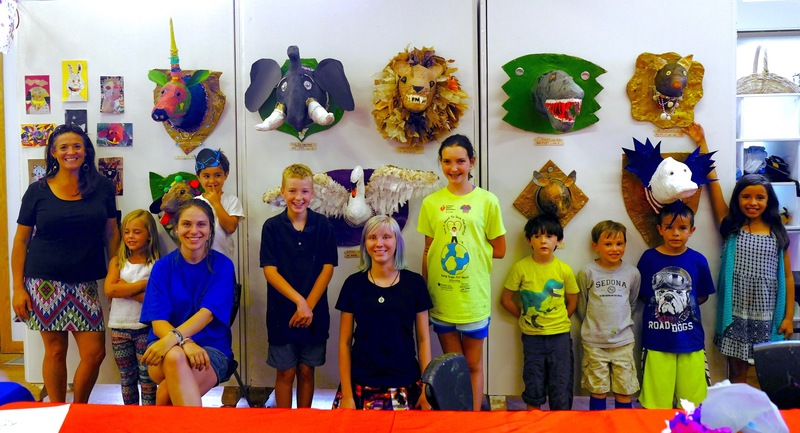 Summer Art Camps are all-day/week-long programs designed to explore art fundamentals and community participation through hands-on art-making, gallery visits, and a final exhibition or event. 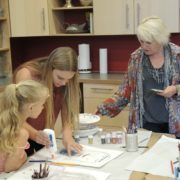 Each week is themed-based and offers a creative art-making experience for all ages and abilities. 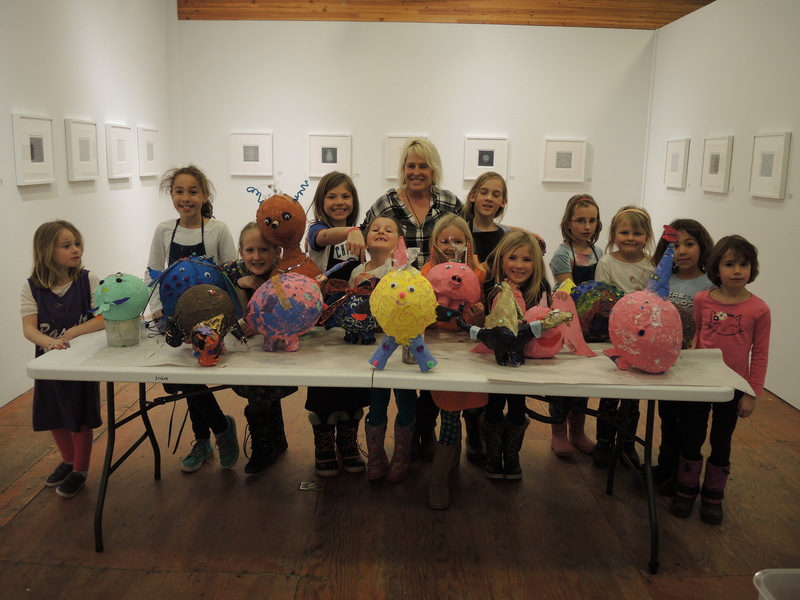 An annual membership of $50 to the Art Base allows you discounts on after school art programs, adult art classes and Summer Art Camps for the entire year. In addition to class discounts, members receive all email updates and an invitation to the annual membership picnic. If you are registering for multiple Summer Art Camps, or for more than one member of your family, please purchase your membership first by clicking here. You will receive a promo code, which will give you the membership discount. If you pay the non-member price you will automatically receive an annual membership to the Art Base. Tuition includes class supplies. Please dress for mess, bring two snacks and lunch, a water bottle, and sunscreen. To cancel a registration and receive a refund, notify us at least 10 days before the start of your workshop. We will refund your payment less a $50 cancellation fee. No refunds will be issued for cancellations made within 10 days of the start of the workshop. Each workshop participant must complete an emergency contact and release form. Forms will be distributed prior to the start of the class or click here to download a fillable .pdf that you can complete and email to holly@theartbase.org. Let us know if you would like to be placed on a waitlist for a sold-out class. A limited number of need-based workshop scholarships are available for local families. Please email info@theartbase.org for a scholarship application, or click here. Summer internships are offered for those entering 7th grade and beyond who are interested and committed to learning and working in the visual arts. Internships are individually designed to the meet the needs of the intern, the Art Base programs and the administration. Internship responsibilities include teaching assistance, event support, studio maintenance, administrative duties and independent projects. Successful candidates will have a passion for the arts and enjoy working with students of all ages. If you are interested in pursuing an internship at the Art Base, please complete the application and email it to info@theartbase.org. Holiday Art Clubs and Winter Wonderland classes focus on the winter landscape and offer creative art-making opportunities for a wide range of ages and interests. Students will use a variety of media to capture the magic of winter in the Roaring Fork Valley. 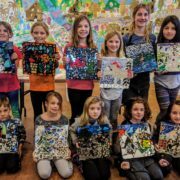 Designed as an alternative to skiing, or for working parents, these all-day art classes for kids focus on the winter landscape and offer creative artmaking opportunities for a wide range of ages and interests. Students will use a variety of media to capture the magic of winter in the Roaring Fork Valley. 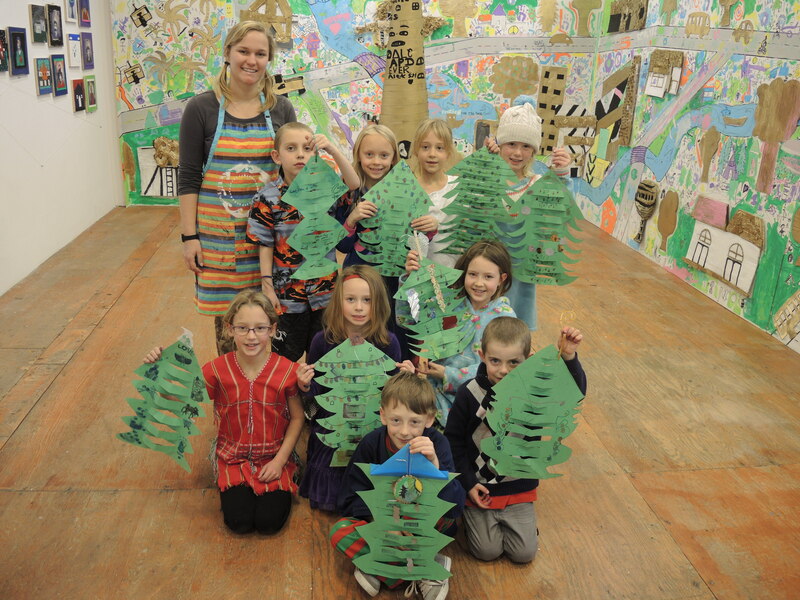 Visit the galleries and participate in art and craft making for the whole family. Each month will feature a different art-full project. Bring your children and join in on the fun! Register online, in person at 99 Midland Avenue in Basalt, or by phone 970. 927. 4123. With questions, please email info@theartbase.org. Week-long and weekend classes are offered year-round and include painting and drawing, sculpture, mixed media, and journaling with images. All abilities are encouraged, no experience is required! All supplies are provided unless otherwise indicated. Supply lists are posted under the course description. To cancel a registration and receive a refund, notify us at least 10 days before the start of your workshop, we will refund your payment less a $50 cancellation fee. No refunds will be issued for cancellations made within 10 days of the start of the workshop. Save 25% by purchasing a punch pass. ARTBASE Camp classes may be purchased individually, or by putting them on your TAB—an Art Base camp punch pass designed for the frequent class participant. TABS may be purchased in increments of four or eight and class reservations must be made in advance by contacting Holly: holly@theartbase.org/970.927.4123. Punch passes may be used when indicated on the course description. To receive a discount on classes, you must be a member of the Art Base. 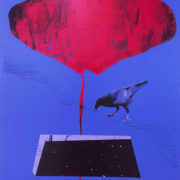 Annual memberships to the Art Base start at $50. In addition to discounts on all workshops for you and your family you will receive invitations to all opening receptions and art talks. Memberships expire one year from date of purchase. In a fun and social environment, learn about current exhibitions at the Art Base and their historical context. Using a hands-on approach, participants will practice using a variety of artistic mediums to create work inspired by Colorado-based artists. Mediums and topics of discussion will include, but are not limited to, printmaking, painting, drawing, collage, abstraction, realism and figure representation. This class is designed for members of the local senior centers and adults in, or nearing, retirement. and the focus is on process, rather than the end result. Every month there will be a new theme. All materials are included, or bring a project you’re already working on! Unlock your inner artist while learning how to incorporate creative writing, color, texture, line, patterns, marks, collage, images, layers and words into a transformative visual journal. Journal is included in class fee. 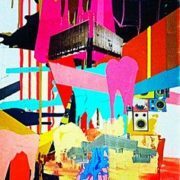 Experiment with the process of building up and breaking down layers of paint while adding elements of collage, graffiti, printmaking and other mixed media into your art work. Study artists influenced by outsider themes and illustration, and with Stanley’s guidance, discover a new edgy style. Using the winter landscape as inspiration, create an original painting while exploring the different techniques of watercolor. Learn the methods of mixing and applying color to a drawing—either freehand or stencil. No prior drawing or painting skills necessary. 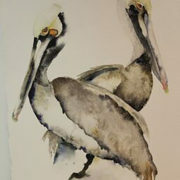 Starting with a charcoal drawing and a limited palette, explore in-depth the language of painting. 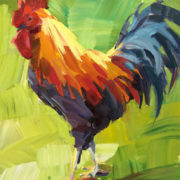 By practicing the fundamentals of composition, students will create an underpainting using acrylics and embellish it while learning color mixing and paint application techniques using both a brush and palette knife. Students are encouraged to bring their own supplies. You will join Sheri Gaynor, Licensed Clinical Social Worker and registered expressive arts therapist for this dynamic introduction to how the arts have therapeutic healing powers. In this creative and experiential class, learn the concepts and benefits of expressive arts. This class is open to individuals, and professionals interested in learning more about this profound modality. This four-week series will investigate different artistic mediums including drawing, printmaking, painting and mixed media. Class one begins with a focus on the introduction to mark-making by drawing lines in space. Take one class or all four! Pulling from her PhD in Arts/Depth Psychology, Wewer guides students through a unique process of finding inspiration in dreams, poetry and life experience—unlocking access to your unique creativity. Starting with a simple composition, collage, paint, draw, and/or write to further develop your work intuitively with symbols of the subconscious. 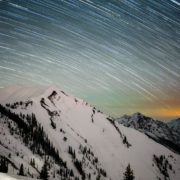 Capture light and color in photographs that are inspired by the breathtaking winter beauty of the Roaring Fork Valley. Learn how to refine your creative vision, master your camera, and practice editing techniques. Combining time in the classroom with field study, work on your composition, exposure and editing. Must bring your own SLR camera and laptop with Adobe Lightroom. This four-week series will investigate different artistic mediums including drawing, printmaking, painting and mixed media. Class two focuses on the painterly qualities of monoprints including methods of brushing, rolling and layering on copper plates. Take one class or all four! Created for photo enthusiasts and photography professionals, learn to transform your photos with the photo editing features and capabilities of Adobe Lightroom. Must bring your own laptop installed with Adobe Lightroom (trial version okay). Using a rainbow trout as a muse, explore the various elements of watercolor painting and practice the process of mixing colors and creating texture. No prior drawing or painting skills necessary. 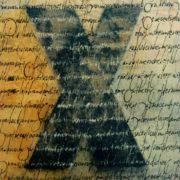 This four-week series will investigate different artistic mediums including drawing, printmaking, painting and mixed media. Class three focuses on the use of color, composition and brush strokes to express emotions using a narrative in an abstract painting. Take one class or all four! 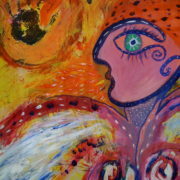 Through intuitive painting, embark on a creative journey to rediscover and reconnect with the playful child within. Without concern for the outcome, unleash your creative core in a nurturing, enthusiastic, and safe environment. Create compelling portraits by capturing facial expressions, personality, and mood. Study composition, lighting, backdrops and editing. Bring your own smartphone, tablet, or SLR camera. Delve into WordPress to either build or edit a website. WordPress is easy to use and Jennifer will walk you through the elements of creating an artistic website or posting onto a current webpage. You must bring your own laptop. Stay current with contemporary art trends—textiles are so in! Learn the basics of warping and weaving on a small loom to create a unique wall hanging. Use various fibers, create fun textures, and play with patterns and fringes. Imagination is the super power any of us can use to change the world. Working with renowned sculptor Ajax Axe, this workshop will use costumes, play and visualization to imagine wild, new stories for our artwork and our lives. You will leave with a blueprint for a new project, artistic direction or personal adventure. Alchemical Ritual at The Bird’s Nest Gallery following the workshop. This four-week series will investigate different artistic mediums including drawing, printmaking, painting and mixed media. Class four focuses on painting discoveries through surface preparation, building texture, and color mixing with the versatile acrylic medium. Take one class or all four! Design beautiful Ukrainian eggshells using successive layers of dyes and beeswax resist. Study one of the traditional decorative arts during this relaxing and meditative process. Practice the popular alla prima technique of using wet-on-wet watercolor and add the colors all at once, resulting in a fresh and translucent feel. Create works that have special cultural, religious or philosophical meaning. Experiment with watercolor painting and the popular wet-on-wet alla prima technique. 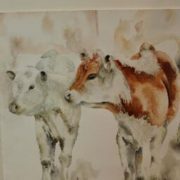 Experience firsthand Sarah’s individualized attention toward her students of all levels (no prior drawing or painting skills necessary) and focus on still life painting with flora/fauna influences. 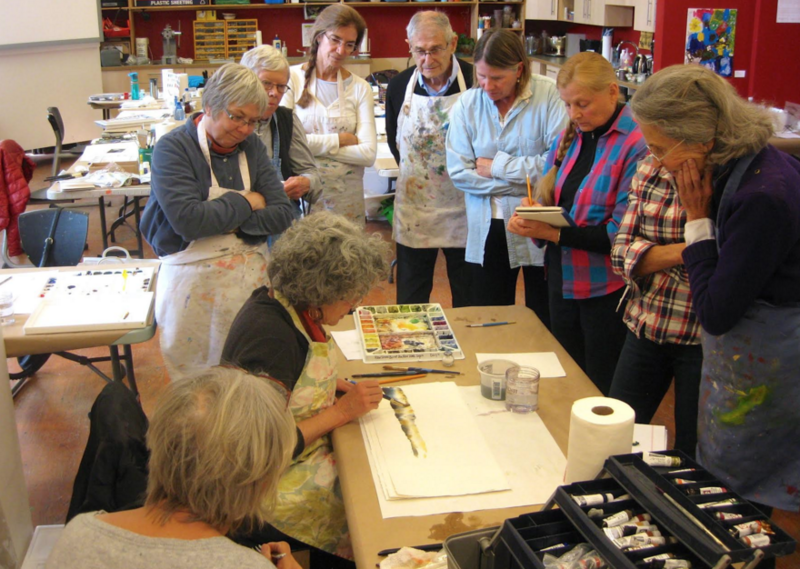 Building on prior classes with Sarah, this class is for the serious watercolorist who aims to further develop their still life painting and artistic practice with an emphasis on group critique and one-on-one instruction. This class will be kept small for a quieter work space. What is a mala? What is the symbolism of each of the mala parts? 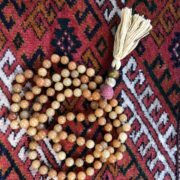 Dive into this mystical aspect of creating traditional prayer and meditation jewelry and handcraft your own gemstone and mala bead necklace. 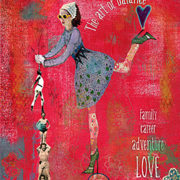 Create a photo mixed media work using inkjet transparencies and transfer your own digital image onto a 10” x 10” panel. Discover different methods to embellish the image and surfaces. 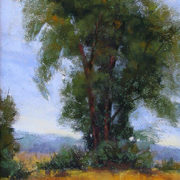 Construct a landscape painting using soft pastels on sanded paper. Build a composition with an emphasis on light and shadow while developing skills that can be applied to both studio work and plein air painting. 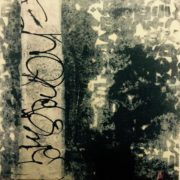 Integrate paint, ink, image transfer, and collage to create a unique mixed media piece on a 10” x 10” panel. 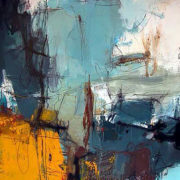 Study the work of several well-known mixed media artists for technique and composition inspiration. Take Trace’s Transfer class on April 11 for a pre-cursor in photo transfer instruction! Capture stunning images of the night sky and transform the way you see the stars! Gain tips for shooting the Milky Way, light painting, and star trails, while practicing editing basics for final touches or touch-ups. Research the ancient technique of encaustic painting, where hot wax is applied to wood panels and then learn to combine layers of colored wax to create opaque or translucent effects. 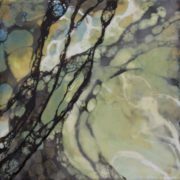 Walk away with a small, finished encaustic painting! Using wildflowers as inspiration, create an original painting while exploring the different watercolor painting techniques. Study the methods of mixing and applying color either to a self-created drawing or a pre-drawn image (no prior drawing or painting skills necessary). Make your own leather bound journal! No experience necessary! Gabrielle has designed this basic structure to make a binding with a full leather spine over inner exposed and visible sewing to create a natural combination of a tight back and hollow all in one structure. There may also be time to explore several decorative techniques. Unlock your creativity using techniques from Wewer Keohane’s, PhD, Artful Dreaming class and form a mixed media artwork while incorporating techniques of collage, drawing, painting and assemblage. 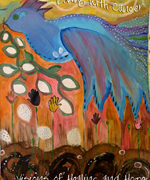 Students will draw inspiration from poetry, dreams, life experiences and symbols of the subconscious. Explore the creative process using a sense of humor and basic power and hand tools. Create a sculpture out of a 3 foot log by learning how to really see an object in order to recreate it. Play with scale and color and end with a final piece that evokes feelings and inspires conversation. Through photography, study the beauty, grace and strength of horses. Discuss composition, contrast and lighting as qualities of a dynamic image and enjoy an introduction to photo editing applications and printing options. This class will be held at Windwalkers. Bring your own camera, smartphone, or tablet. 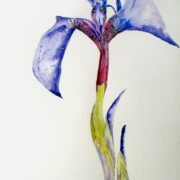 May 20 class will be held at Windwalkers, May 22 class will be held at the Art Base. Experiment with a variety of acrylic and mixed media techniques that allow you to add laser printed photographs as elements of collage within paintings. Glass-like surfaces, marbled color flows, stained color fields or faux-encaustic looks are all possible when you know the right combination of mediums and paints. Absence is the creative force, the initiation, the spark, for the making of anything “new”. 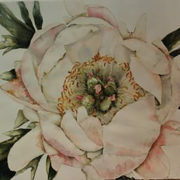 Please call to inquire about open studio days and times. A great opportunity to visit the galleries and participate in art and craft making for the whole family during Basalt’s Sunday Market. Each week will feature a different art-full project. Bring your children and join in on the fun! Register online at theartbase.org, in person at 99 Midland Avenue in Basalt, or by phone 970. 927. 4123. With questions, please email info@theartbase.org. The Claudette Carter ARTmentors is a program for high school juniors who are considering the arts as a career. Mentees are paired with professional artist mentors who help them learn firsthand what it takes to become a working artist. 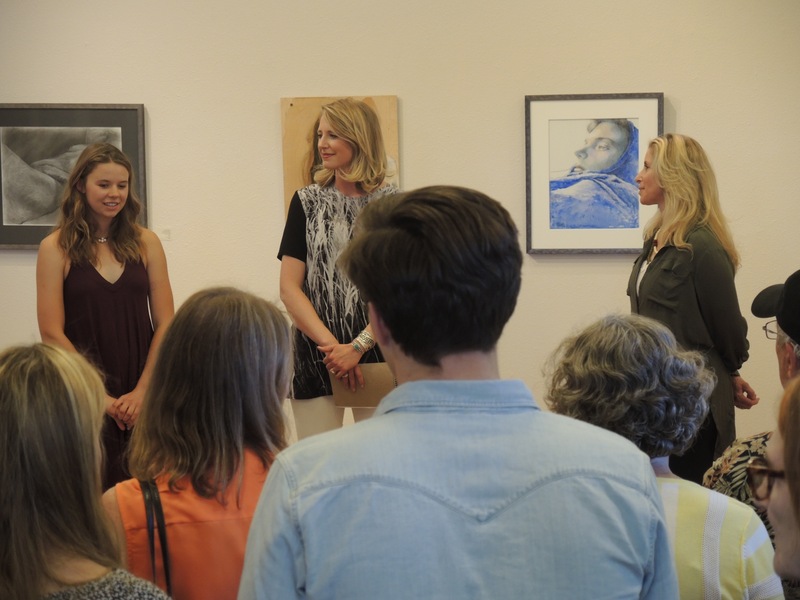 Mentees are introduced to the full cycle of the artistic process, from concept, creation, to promotion of the artwork, culminating in an exhibition at the Charles J. Wyly Gallery. The Art Base provides a variety of internship opportunities year-round, with the majority offered in conjunction with the summer workshops. Summer internships are offered for students entering eighth grade through college who are interested and committed to learning and working in the visual arts. Internships are individually designed to the meet the needs of the intern, the Art Base programs and administration. Internship responsibilities include teaching assistance, event support, studio maintenance, administrative duties and independent projects. Successful candidates will have a passion for the arts and enjoy working with students of all ages. By registering early, you help to insure minimum enrollment, plus you don’t miss out on the class that you want to take. If we must cancel a workshop, you may receive credit toward a future workshop, or you may receive a full refund. $25 Early Bird Discount is available if you register one month prior to the start date of the class! An annual membership to the Art Base is tax-deductible. Memberships include classes at the member price for a full year. Members receive all email updates and invitations to our events and exhibitions. Membership also includes admission into the Art Base’s annual open and summer membership picnic.